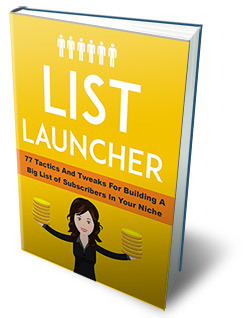 "FREE Report Reveals 77 Top List Building Tactics To Build A Profitable List In Your Niche..."
77 tactics and tweaks for building a big list of subscribers in your niche! Tip #2: Stay r_______. This is what will separate you from the good to great! Tip #5: Remove the ________ on your squeeze page. Doing this mistake will cause low opt-in rates. Avoid this. Tip #11: Stay ______, get ______ attention. This tip is crucial to making sure you don't scare away subscribers! Using social media to gain more subscribers. 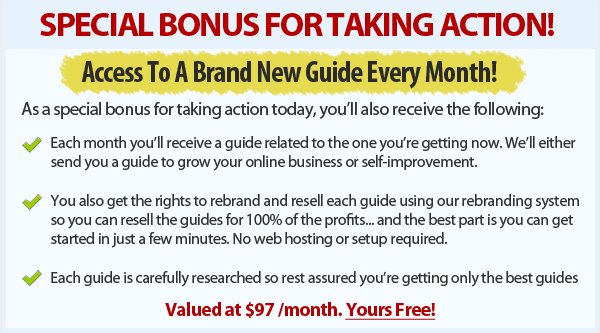 It's a powerful and free way to get more subscribers to your list. How to use blog commenting the right way to gain more subscribers.